Marilyn was born the daughter of Stanley A. and Margaret (Sheskey) Polzin on August 4, 1936 in the Town of Westford, Dodge County, Wisconsin. She was married to Charles Sell in 1956. Marilyn was a loving mother and raised five children. 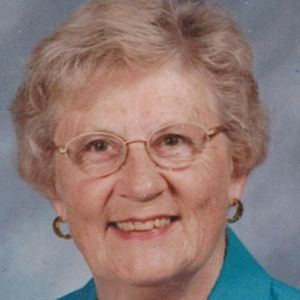 Marilyn worked as a dental assistant in Beaver Dam for 12 years and then as a secretary at the City Hall in Beaver Dam for 11 years until she retired. In retirement, Marilyn loved to travel and spent the winters in Casa Grande, AZ. She had great artistic talents that were evident in her various paintings, rosemalings, jewelry she made and clothing items she made and altered. Marilyn was a member of the Beaver Dam Country Club and St. Katharine Drexel Catholic Parish where she had been active in the Daughters of Isabella for many years. Marilyn is survived by her children: Debra Jones of Beaver Dam, Brian Sell of Montello, Jeffrey (Jennifer Hull-Sell) Sell of Beaver Dam, Susan (David) Urbaniak of Neenah, and Janice Sell of Beaver Dam; six grandchildren: Joseph Hamilton, Nathaniel Sell, Jamey (Danielle) Fandrich, Samuel Jones, Olivia Sell, and Isaac Sell; three great-grandchildren: Aiden, Owen, and Lillian; her sister, Cay (Rick) Hatzinger of Phoenix, AZ; two nieces and her long-time companion, Bob Schegetz. She was preceded in death by her parents.